SHD Tech Caches in Division 2 Downtown West locations are unmarked, and there’s no safe house to mark them from, and a lot of people have one SHD Tech Cache from Downtown West missing. This is because one of them is hidden in a mission, and very well-hidden, at that. 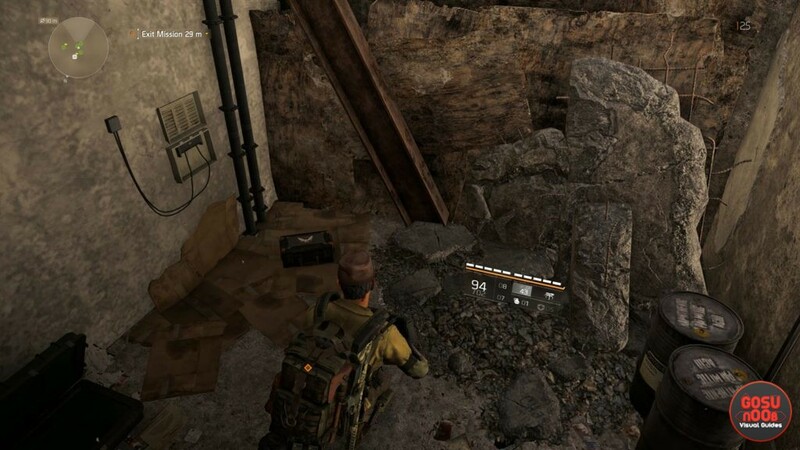 Our Division 2 Downtown West Unmarked SHD Tech Cache Locations guide will show you how to mark all the Downtown West SHD Tech Caches, as well as where to find the fifth one that a lot of people are missing. How to Find Division 2 Unmarked SHD Tech Caches in Downtown West? To find the SHD Tech Caches in Downtown West in Division 2, the best first step is to find a laptop that will mark the locations for you. Said laptop also contains the Agent’s Notes that one of the missions in Downtown West requires you to find, by the way. The computer in question is in the Campus Settlement. It’s a change of pace, because these computers are usually in the Safe Houses. Anyway, from the entrance to the settlement, head towards the Matchmaking Station. It’s through a short tunnel that has signs for Aid Distribution. Climb up the stairs on the far left of the small plateau, and you’ll be right in front of the computer. Interact with the computer, and it will mark the five unmarked SHD Tech Caches in Downtown West. How to Find Missing SHD Tech Cache Point in Downtown West? To find the missing SHD Tech Cache in Downtown West, you’ll have to be in the Worksite Community mission. In case you’ve already completed that mission in the southeast of Downtown West, then you’ll have to wait for a bounty that’s going to take you there again. This is a known issue, and hopefully the developers are going to fix it soon. That said, you don’t need to find this cache to get all of those skills. You can get more caches for side missions and World Tier stuff, so don’t agonize too much about this one. Anyway, if you haven’t played the mission yet, here’s what you need to do. When the mission is over, go to the left from the two people you’ve just saved, past the red fences. Walk around the wall on the right, and that’s where the cache is sitting, in the corner. In case you’ve already completed the mission, this is next to the place where you’ve lowered the rope and rappelled down to exit the mission. The other Downtown West SHD Tech Caches aren’t a problem to find at all. They might take a bit of looking, but nothing too hard. If you need further assistance with the game, check out our other guides, including Hyena keys, True Sons keys and Outcast Key Locations and Sweet Dreams Exotic Shotgun – How to Get. Yes. Just like we explain in the first subsection of the article. There is a laptop to mark these in the Campus. Yes. This is what the first subsection is all about. I dont remember doing the ” construction site” side mission to the east .. but i have a SHD there now ..
the door im surpose to open to get to it will not open .. is there a way to either restart the side mission og get if i havent done it .. where do i get it +? ?